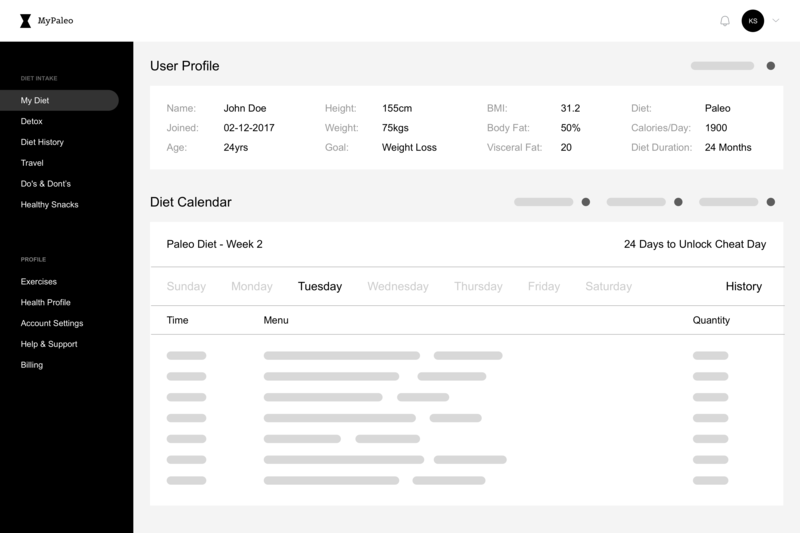 Brief: To design a wireframe for a diet planning/consultation dashboard! 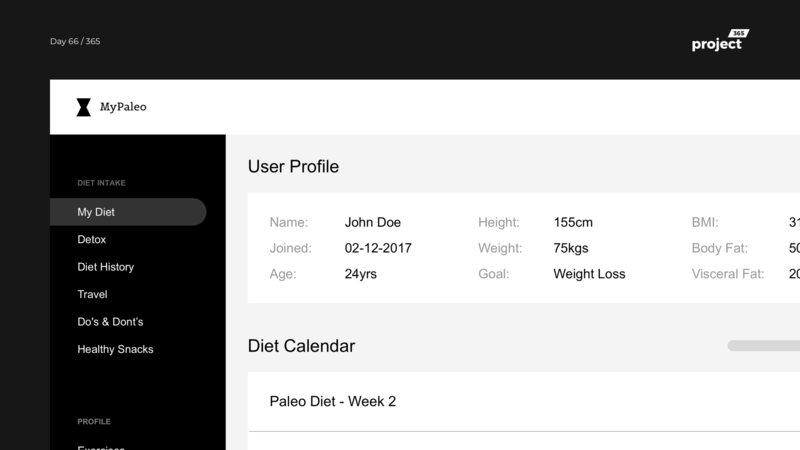 MyPaleo – An online dashboard tool that lets you view all your diet related information. Your dietician will prescribe your weekly diet intake and you’ll be able to view them all from this dashboard. Consultation, Planning, Dos & Dont’s, Progress, Health History & Much much more from a single dashboard! This is a wireframe concept, will do a full-fledged design conversion for my Dashboard Saturday series soon!